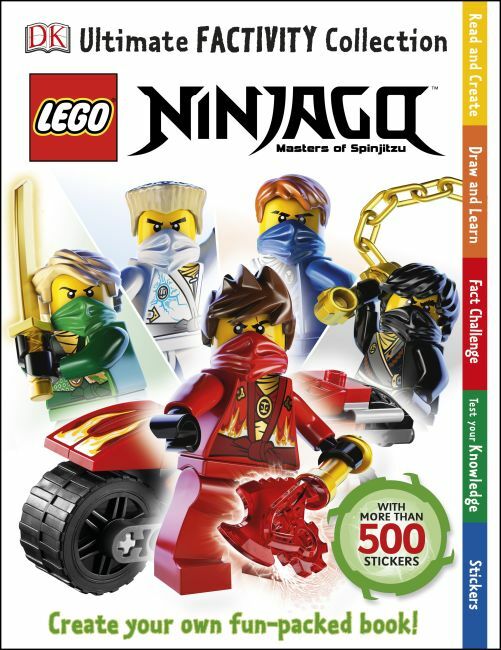 DK's Ultimate Factivity Collection: LEGO® NINJAGO™ combines facts about the ninja and their enemies with fun activities. Learn about the ninja through games and sticker activities. Discover their amazing weapons and vehicles, and become as wise as Sensei Wu. Engaging reference material guides the child through each activity, while fun challenges and interesting puzzles inspire creativity. LEGO, the LEGO logo, NINJAGO, the Brick and Knob configurations, and the Minifigure are trademarks of the LEGO Group. ©2015 The LEGO Group.